Delight started out as a bit of a therapy project. A little quiet time to myself, and a stack of fat quarters. 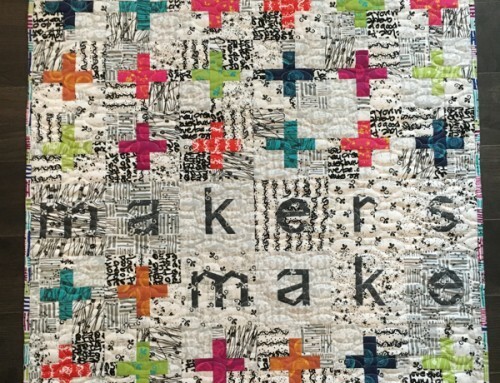 This is almost always a recipe for success when making a quilt, and Delight is just that: A delight to make! Since I started it on a whim, I didn’t have a deadline and I took a bit longer making it. I do love the opportunity to stand back and look at a project though! 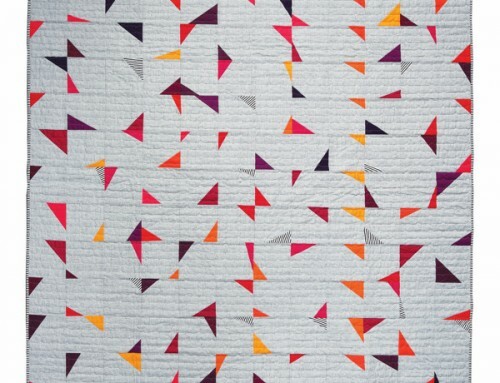 It’s nice to see where the quilt wants to go, especially without a specific color plan. 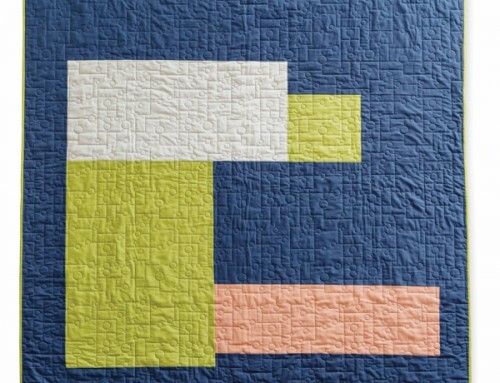 Using the fat quarter bundle, I cut pieces, and added them to the quilt blocks very randomly. 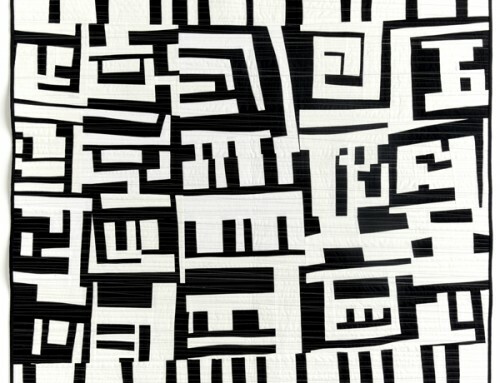 Simply looking for contrast with each addition. 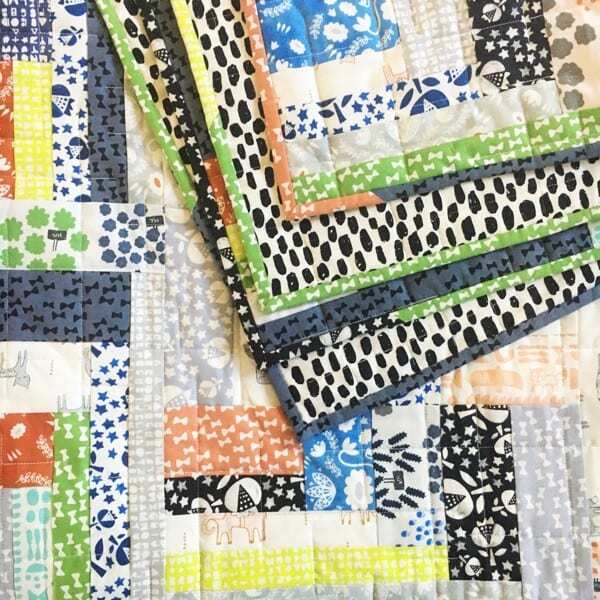 Using a coordinated fat quarter bundle made this really easy, but it could definitely be made with scraps or your fat quarter collection too. I just love the pop of the neon green in there, with the navy to balance everything out. 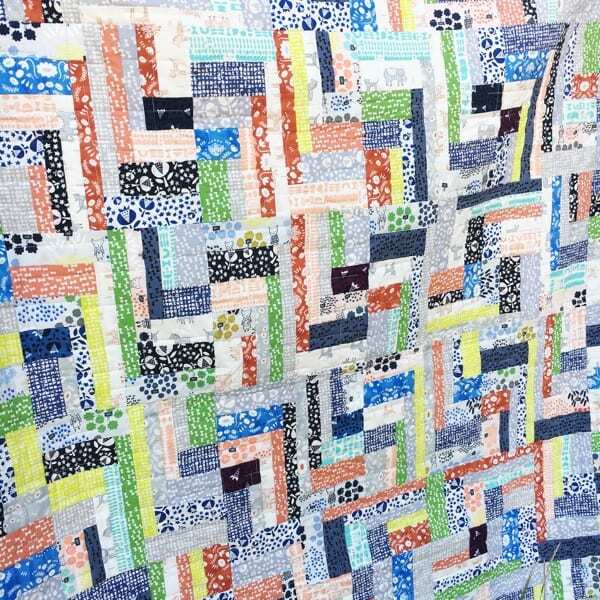 When it was time to bind the quilt, I had enough bits of my fat quarters to cut from. 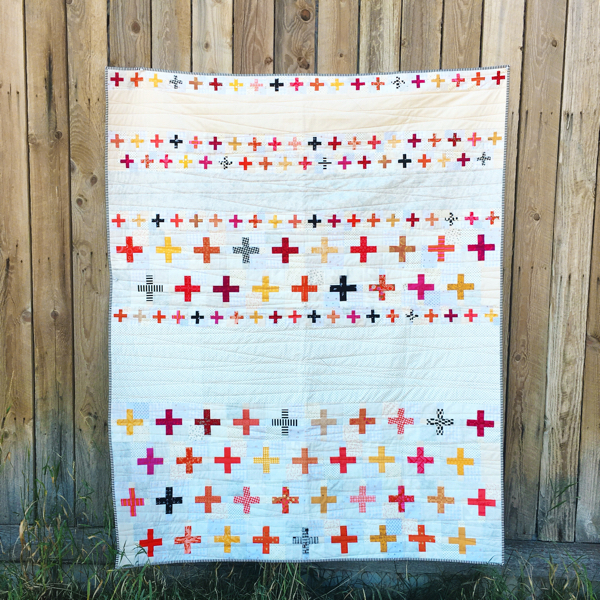 It’s a scrappy binding, just like the rest of the quilt. 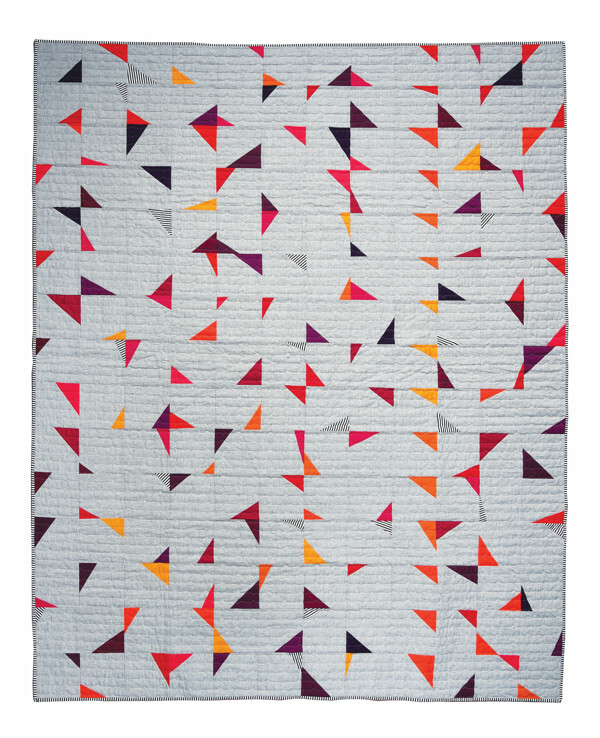 Delight measures 60″x 72″, and the pattern also includes a baby, lap and twin option. 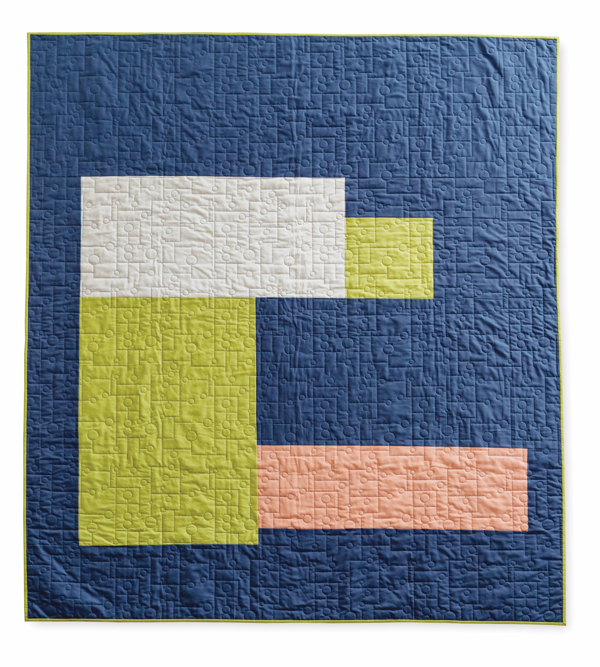 I quilted it with a “window pane” digital design that adds texture without taking away the coziness of the quilt. Fabrics used = Flower Shop by Alexia Marcele Abegg which I’m sure will be hard to find by now, but Alexia’s other collections would also work really well. 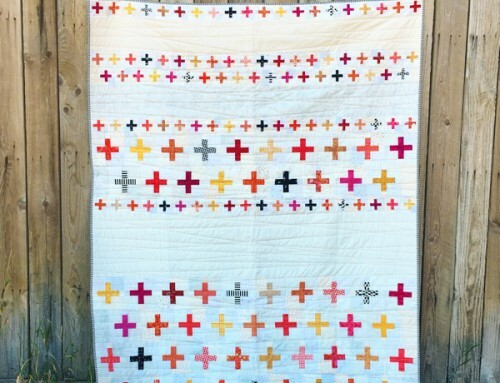 I like this quilt! 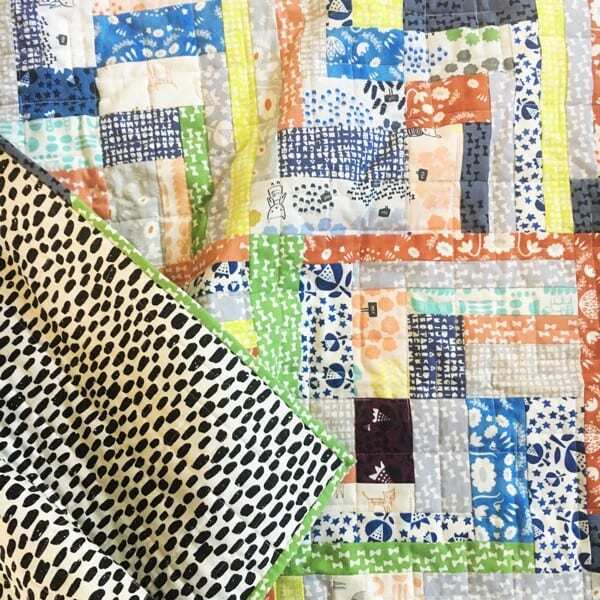 Whether using a fat quarter bundle or making it a stash buster…….it is a winner! 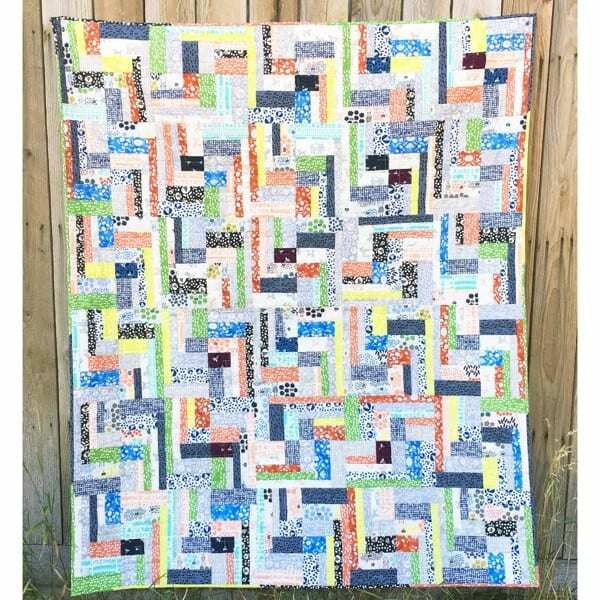 It gives me an idea that I could use up some fat quarter bundles that I have collected and am not too fond of. Thanks for the idea. 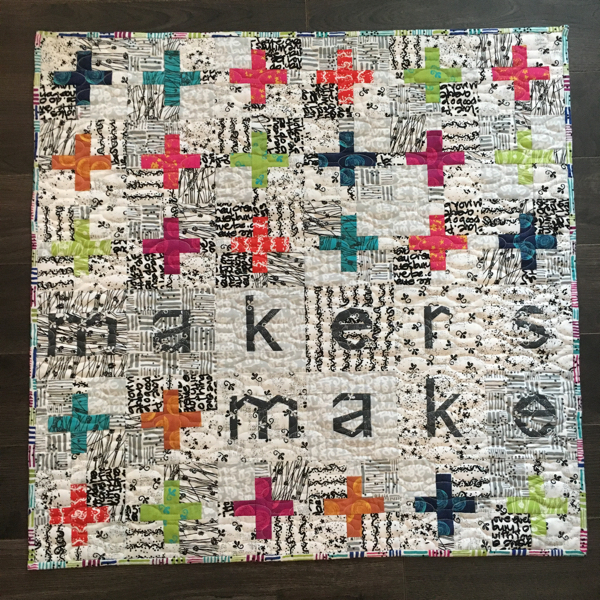 To me and my way of looking at quilts this one says all there is why I love hoarding bits and pieces of old garage sale finds. 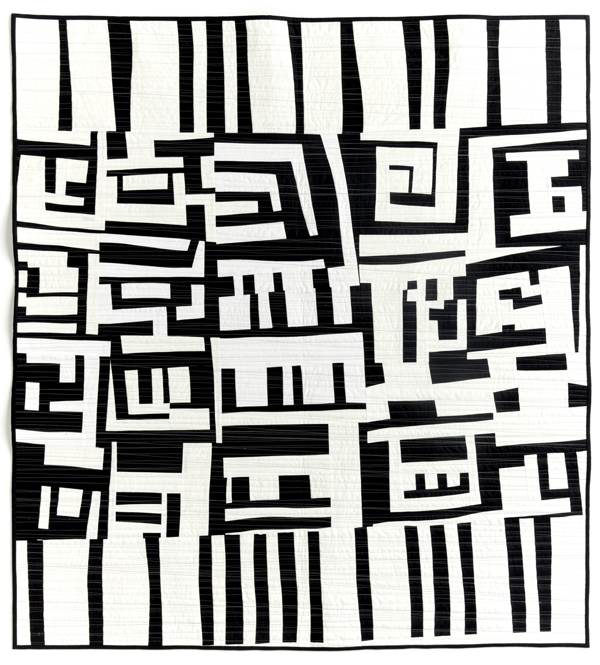 A quilt made with these little memories brings home to me the very roots of quilts in the first place.